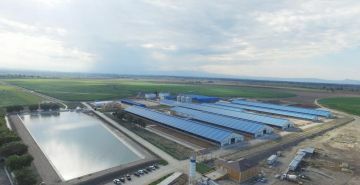 By the end of 2018, 12 agroparks will be created in Azerbaijan, the Deputy Economy Minister of Azerbaijan Shirzad Abdullayev said during the discussion of the state and consolidated budgets for 2018 at a joint meeting of parliamentary committees Nov. 5. The deputy minister said that six agroparks have already been created and work is underway to create agroparks and large farms in 30 districts of the country. Their total area is 192,000 square meters, and the volume of investments amounts to 1.4 billion manats.